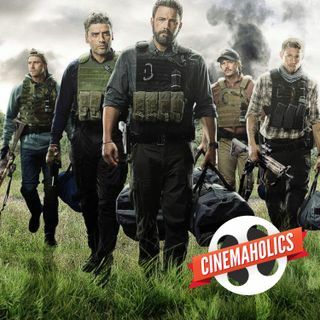 Special guest Sam Noland joins us for a triple review of Triple Frontier a new "soldier-heist" film debuting on Netflix and starring Ben Affleck and Oscar Isaac. We’re also getting emotional over the new teen romance dramedy Five Feet Apart starring Haley Lu Richardson and Cole Sprouse. Stick around for even more reviews, including the new sci-fi release Captive State, After Life from Ricky Gervais, and The Mustang, now in limited release.